You might have seen people (authors) talking about the magical mystical thing called NaNoWriMo recently and wondered what the heck it is. No it’s not text speak for something illegal or immoral, it’s short hand for NAtional NOvel WRIting MOnth. Every November a call is put out to writers everywhere to stop, drop and write. Many of us are talk about that book idea that’s a guaranteed best seller, but until it’s on “paper” it’s just a pipe dream. The point of NaNoWriMo is to wake us up and get us to write the darn book! To help motivate us and keep us accountable, the Office of Letters and Light has set up a website, nanowrimo.org. It’s a place to connect with other writers and track your writing progress. No, you don’t actually publish your writing – this is an honor system setup – but you do post how many words you’ve written. Oh, did I mention, the goal of NaNoWriMo is to write 50,000 words in 30 days? That’s half a novel like Whirlwind. Now that I have Book 2’s first draft just about finished, I’ll be working on getting Book 3 in the Whirlwind Series kick-started during NaNoWriMo. So if you don’t hear from me, I’ll be busy writing as fast as I can. Are you a writer? 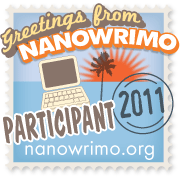 Join me in this writing-fest – I’m blondieakarobin on the nanowrimo website. If you’re a reader, be sure and cheer on your favorite authors as they write their minds out. If you want to know how I’m doing, click on the link. I can use all the love and whipping–er–support I can get! What would be better on a cold winter night than a hot, new Kindle Fire filled with great reads? You can win just that, in time for Christmas* by entering the Reading Next to the Kindle Fire giveaway. Entering is easy. Click on the image to find the entry form and the list of participating authors. 20+ books are also included in the prize, so check out the authors on the list. And be sure and follow this and other participants’ blogs to get the latest info on the giveaways, the books, and more fun stuff. You can subscribe to this blog by entering your email in the box on the right. *Christmas delivery for US winners only. See the Rules below the entry form for more information. Halloween is right around the corner, and that means it’s time for the Romance Girls Gone Goblin Halloween hop and giveaway. Starting TOMORROW and lasting through Halloween (10/28-10/31), you can enter to win an e-copy of Whirlwind by commenting on the post of the day on my blog. I’ve got lots of fun Halloween goodies planned, so you don’t want to miss out! And I’m just one stop on the hop. There’s lots of prizes to win! Saturday (10/29): Trick or Treat traditions. Do you go out or stay in? Sunday (10/30): Costume Competition. Who’s the best dressed? 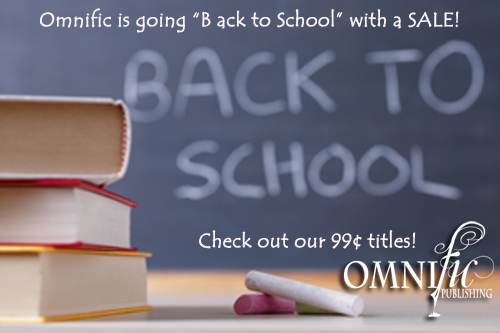 Monday (10/31): Treats for readers. What’s your favorite Halloween story? Also, an outtake from Halloweens past with Jason and Melissa and an update on Books 2 & 3. Come join the fun and the discussion. Every valid comment is an entry into the drawing to be held 11/1 for an e-copy of Whirlwind. Open internationally (spammers can stay home, though). And be sure and check out the other authors on the hop. There’s lots of e-trick or treating to do! Can you believe it’s September already? School’s started, the trees are starting to turn, and the days are getting shorter. Fall is right around the corner. And that means that time is running out on the Summer Lovin’ Anthologies. Benefiting Save the Ta-tas (and who doesn’t love Ta-tas? ), the Anthologies will only be available until September 30th, so whether you like sweet (Summer Breeze) or spicy (Heat Wave), get yours before time runs out. Available in print and electronically. No, this isn’t America’s Most Wanted – this culprit isn’t a mysterious stranger. This killer is much worse, and goes by the name Cancer. And it has to be stopped. 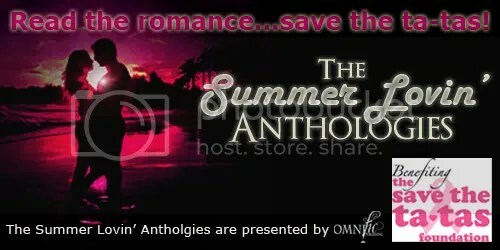 This summer, I’ve joined Lisa in contributing to Omnific Publishing’s Summer Lovin’ Anthologies. The publisher and all the authors are donating the proceeds from these books to Save the Ta-tas, a charity raising money to fight cancer, but you can find out more about that below. What I’d like to do today is dedicate my contribution, a short story called Concessions, to my cousin, Susanna, a Cancer survivor. Cancer is no stranger, attacking both women and men I know and love in its many forms, but Susanna knew early on Cancer was tracking her. It’d already targeted her family. Cancer, specifically Breast Cancer, came after her aunt, who fought the disease and won. Cancer didn’t stop there, silently stalking Susanna’s mom. In 2004, Susanna’s mom lost her fight, and Cancer stole from us a woman with a heart of gold, whose life work was helping children as a school psychologist. Knowing she was next on Cancer’s list, Susanna got regular checkups. She and her husband share a full and healthy life, but Cancer found her in her early thirties, a year after she gave birth to a beautiful baby. It was in the prime of life, as Susanna breastfed her baby, that the disease reared its head again. Susanna battled Cancer, sacrificing her hair, her energy, and her body, but she won. Today, she’s cancer free, and following in her mother’s footsteps as a school psychologist. But she needs our help. You see, Susanna has a daughter. She’s three. We need to stop Cancer now, before it takes another mother or attacks another daughter or aunt or sister. Whether you decide to purchase one or both of the Anthologies, or would rather give directly to a specific organization, please take a minute and open your wallet. With your help, we can put Cancer away for good. Thank you to Susanna and her husband for allowing me to tell a little of their story, and to Omnific Publishing for sponsoring this fundraiser. Be sure to check out the Concessions fan page HERE.